What is the role of pathologists? Working in hospitals and the community, pathologists and pathology staff are involved in preventing, diagnosing, treating and monitoring diseases to keep people as healthy as possible. Pathologists are facing great pressures through rising workload, the increasing complexity of their work and vacancies of 10-12% and rising. The amount of histopathology requests to laboratories has increased by around 4.5% on average year on year since 2007. There is a growing demand for pathology services, both in the number and complexity of tests performed, caused by developments in testing such as the introduction of the faecal immunochemical test (FIT), which will increase clinical biochemistry and histopathology workload, and new targeted therapies needing genetic or molecular tests on samples. 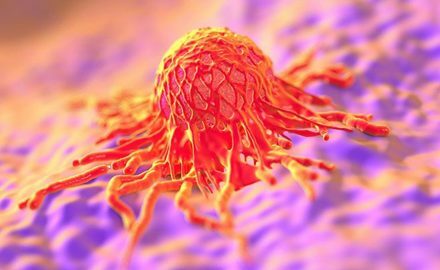 With an ageing population and a rise in obesity, leading to increased cancer rates, pressure on already-stretched pathology services will also increase. In 2016, only 50.4% of junior doctors successfully completing foundation training progressed into specialty training (down from nearly 72% in 2011). For those who do go into specialist training, pathology is competing with other disciplines for trainees. In 2017, for example our training post fill rates in England dropped to 72% in histopathology from almost 100% in the previous two years. However, for the first time in recent years we are not having to go out to second round recruitment for specialty trainee (ST1) training in histopathology in most regions in the UK. Pathology workforce problems are now being recognised as a serious concern by other bodies. The publication of Cancer Research UK’s report Testing Times to come? An evaluation of pathology capacity across the UK and the first stage of the Cancer Workforce Plan by Health Education England has highlighted the need to increase capacity and work on possible solutions. The College welcomes this focus. 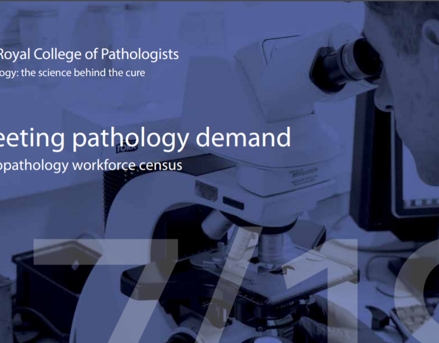 Our workforce census, Meeting Pathology Demand found that just 3% of histopathology departments have enough staff to meet clinical needs. This statistic was quoted in a debate on cancer workforce and early diagnosis by Jim Fitzpatrick MP (Labour, Poplar and Limehouse) in the House of Commons on 8 January 2019. Clinical biochemists play a key role in diagnosing patients with a wide variety of illnesses – from high cholesterol to rare genetic diseases. Haematologists (pathologists who help diagnose and treat blood cancers and other blood disorders) are also in short supply. Staffing levels have not risen in line with demand and there are not enough trainee doctors in post to fill the gaps in the workforce. The College Workforce Department conducted a formal survey of all UK histopathology/cellular pathology departments in 2017. This was the first such comprehensive survey to be sent out to the managers of all the pathology departments in the UK. The results showed that almost one in six posts are either covered by locums or are vacant. From the data supplied in the survey, the cost of outsourcing work and the use of locums is estimated at approximately £27 million. Only 3% of NHS histopathology departments reported that they have enough staff to meet clinical demand. Better and more coordinated workforce planning is needed over the next five years as the number of retirements from the NHS is expected to increase significantly. The College has successfully argued for a lift in the Tier 2 visa cap for doctors and nurses and we are glad to see this. Whilst the College supports the move in the draft health and care workforce strategy to 2027 ‘Facing the Facts, Shaping the Future’ to maximise home-grown trainees, so that we have sufficient pathologists from UK medical schools, ongoing immigration will be necessary to assist with workforce shortages in pathology. There are some additional things that will help. The College supports the adoption of technologies that have the potential to improve patient care, introduce efficiencies and support the pathology workforce, such as digital pathology.